The TRU-RAKE Self-Cleaning Bar Screen System is designed to remove debris from storm water overflow systems, combined sewer overflow (CSO) systems and sanitary sewer overflow (SSO) systems. 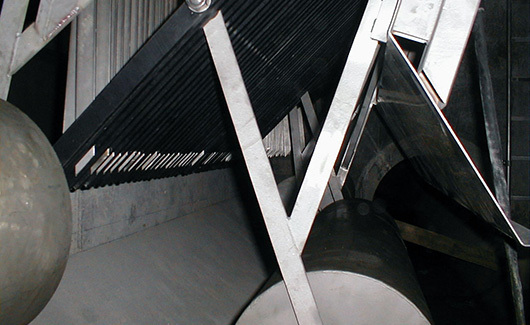 The TRU-RAKE self-cleaning bar screen provides an economic and effective solution to protect against coarse floating and suspended matter entering receiving streams. 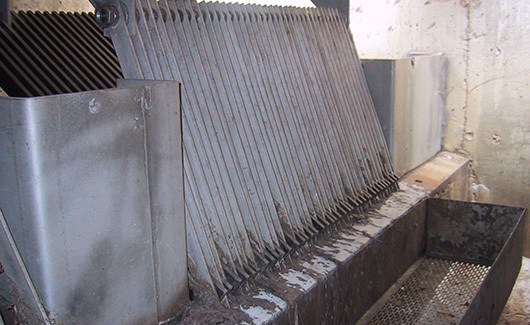 The TRU-RAKE self-cleaning bar screen is designed to be installed over storm water weirs, settling tank weirs, CSO weirs and flood discharge weirs. The TRU-RAKE’s modular design makes it suitable for any type of overflow system and is easily retrofitted into existing structures. The TRU-RAKE Self-Cleaning Bar Screen System models vary depending on the bar spacing, the design water depth, the maximum acceptable head loss, the number of modules and the overall length. The models are designated as GTR-***-***. The units are modular in design with a single unit being up to 20 feet (6 m) long. The units are currently designated with asterix due to the high variety of model options. The TRU-RAKE Self-Cleaning Bar Screen System has a standard bar opening of ½ inch (12 mm) to 2 inches (50 mm). During an overflow event, the upstream water level increase causes the float to lift the cleaning rake to its upper position before any water flows over the weir. The cleaning rake remains in this position during the entire overflow event. 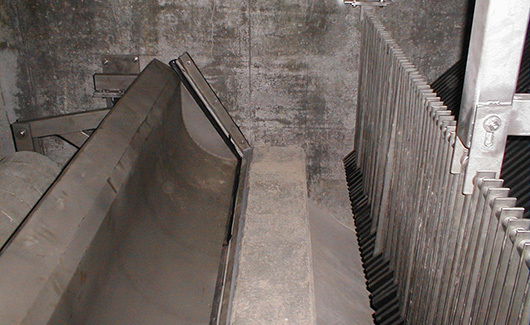 At the end of the overflow event, the float drops as the upstream water level decreases and using no external energy the cleaning rake is pulled through the bars removing the retained debris from the screening surface. This debris is then transported by the dry weather flow to the waste water treatment plant for disposal. Should the bar screen become blinded with debris, the TRU-RAKE is designed to swing up and out of the flow path with the increase in hydrostatic pressure. This prevents any negative impact on the upstream water level. When the water level drops, the bar screen will return to its initial position by its own weight.